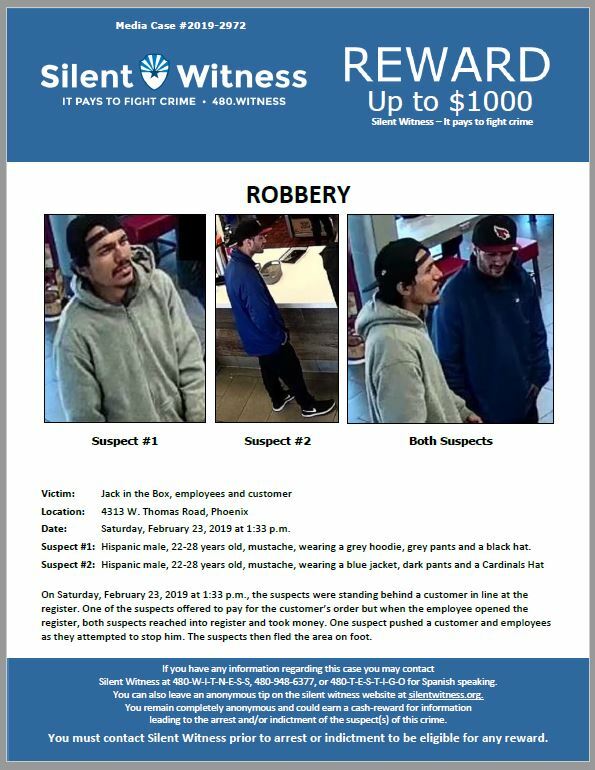 On Saturday, February 23, 2019 at 1:33 p.m., the suspects were standing behind a customer in line at the register. One of the suspects offered to pay for the customer’s order but when the employee opened the register, both suspects reached into register and took money. One suspect pushed a customer and employees as they attempted to stop him. The suspects then fled the area on foot.